Swallows are starting to gather at Montrose Point. 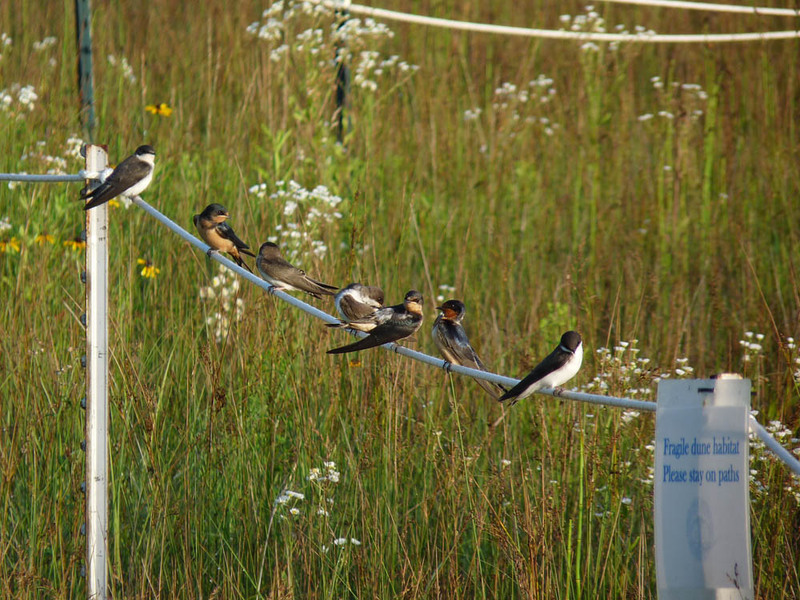 On July 15 I had all 5 of our smaller swallows in the Dunes at Montrose. They like to perch on the white rope that cordons off protected areas in the Dunes. This is a great way to study and photograph these birds. This phenomenon has a narrow window – just a few weeks in July – and won’t last much longer. This entry was posted in Summer Bird Reports and tagged Summer Swallows, Swallows on July 16, 2018 by rhughes.